GWYNT Y MÔR Offshore Wind Farm Limited has confirmed that the Port of Mostyn in North Wales will be the base for its wind turbine installation programme. All 160 turbines will be installed from the Port on the Flintshire coast, and follows an announcement last year that Mostyn will benefit from the construction of an operations and maintenance base for all three of RWE npower renewables wind farms in Liverpool Bay, North Hoyle, Rhyl Flats and once complete Gwynt y Môr. At least 100 new, long term skilled engineering jobs will be available at the port to staff the new base. Work to create the new facilities could see more than 120 additional personnel onsite during the construction phase, bringing a boost to the local economy. Confirming the decision, RWE npower renewables’ Gwynt y Môr Project Director, Toby Edmonds said: “The Port of Mostyn has proved itself extremely capable as the construction base of our previous two wind farms and we are delighted to return to install turbines for Gwynt y Môr. “Siemens Energy will supply and install 160 of their 3.6MW turbines with components beginning to arrive at the Port of Mostyn in early 2013 and stored in lay down areas ready for installation. The £50 million lease and investment into Port of Mostyn is Gwynt y Môr’s highest value, long-term contract awarded to a company in Wales, and reinforces the company’s commitment to investing into the North Wales area. The award of this latest contract brings the total investment inWalesby Gwynt y Môr Offshore Wind Farm Limited to more than £80million and more than £200 million to companies across theUK. Today’s assurance provides increased security for many of the businesses established nearby which are linked to supporting the existing operating wind farms. Managing Director of the Port of Mostyn, Jim O’Toole, said: “The Port of Mostyn is very pleased to have been awarded the installation base contract for the turbines to be erected at RWE npower renewables’ Gwynt y Môr offshore wind farm. 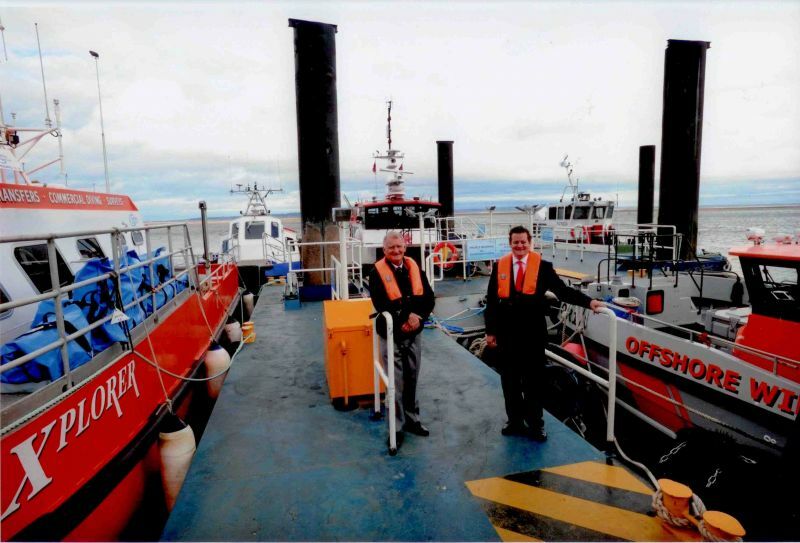 “This contract, together with their earlier decision to establish the Maintenance Base for their three Liverpool Bay windfarms at Mostyn is a welcome consolidation of the commercial relationship which began with the construction of the North Hoyle project in 2003.